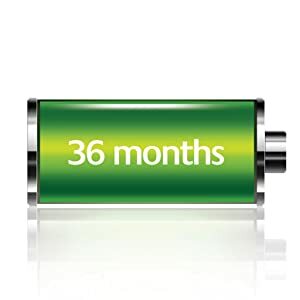 Extended battery life: 3-year keyboard and 18-month mouse battery life virtually eliminates battery changes. Mouse battery life may vary based on user and computing conditions. 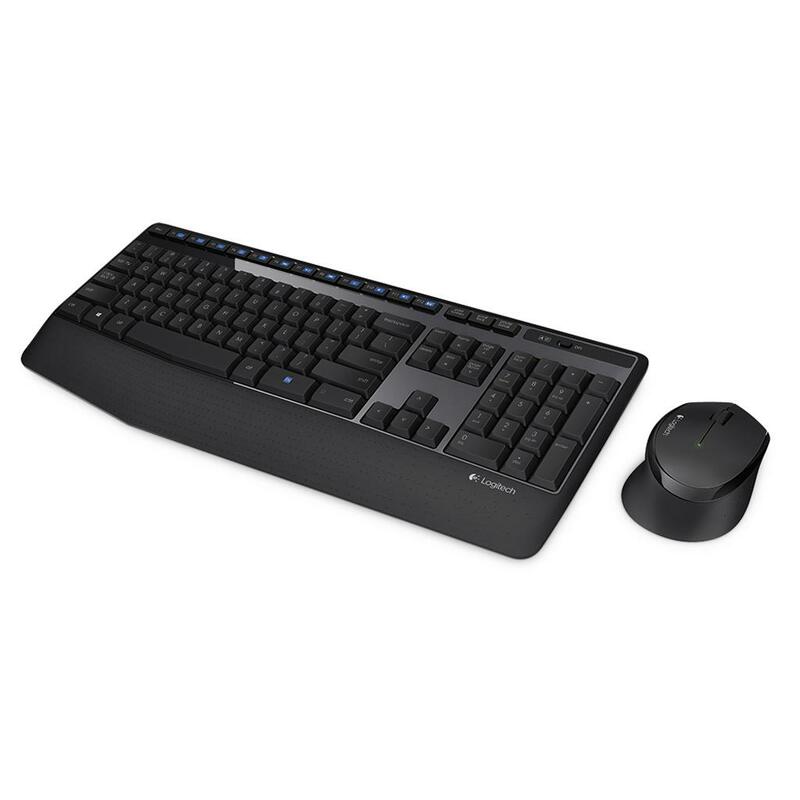 Get the perfect combination of wireless freedom and exceptional comfort with this reliable wireless keyboard and right-handed mouse. 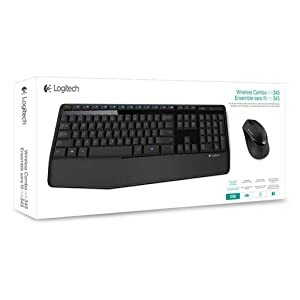 Enjoy wireless freedom with the fast, reliable connection you’d expect from a cord. One small Nano receiver connects both the mouse and keyboard to your computer. Just plug it into a USB port and you’re good to go. 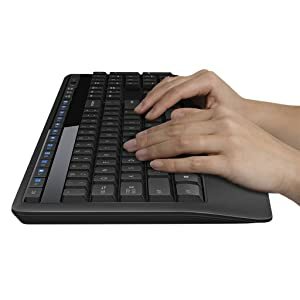 With a full-size keyboard, integrated palm rest and contoured mouse, typing and browsing feels incredibly comfortable—even when you spend long hours at the computer. Type comfortably, quickly and accurately on a familiar keyboard with generous textured palm rest, spill-resistant design* and low-profile whisper-quiet keys. * Tested under limited conditions (maximum 60 ml liquid spillage). Do not immerse in liquid. 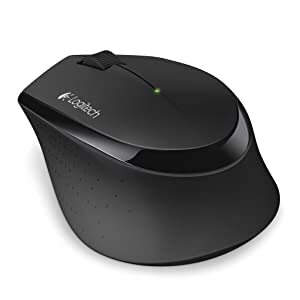 Point, click, highlight and scroll with a hand-friendly contoured mouse that gives you accurate cursor control for everything you do and everywhere you surf. 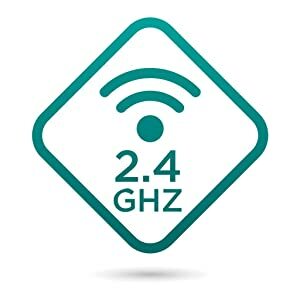 Logitech Advanced 2.4 GHz wireless gives you the connection reliability of a cord and the convenience of wireless freedom—10m range, fast data transmission, seamless connectivity and the security of 128-bit AES data encryption. 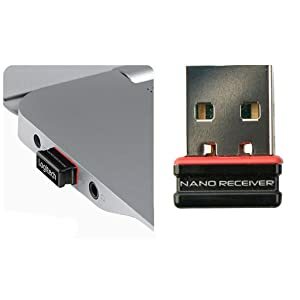 The Nano receiver wirelessly connects both the mouse and keyboard to your computer—eliminating the hassle of multiple receivers. 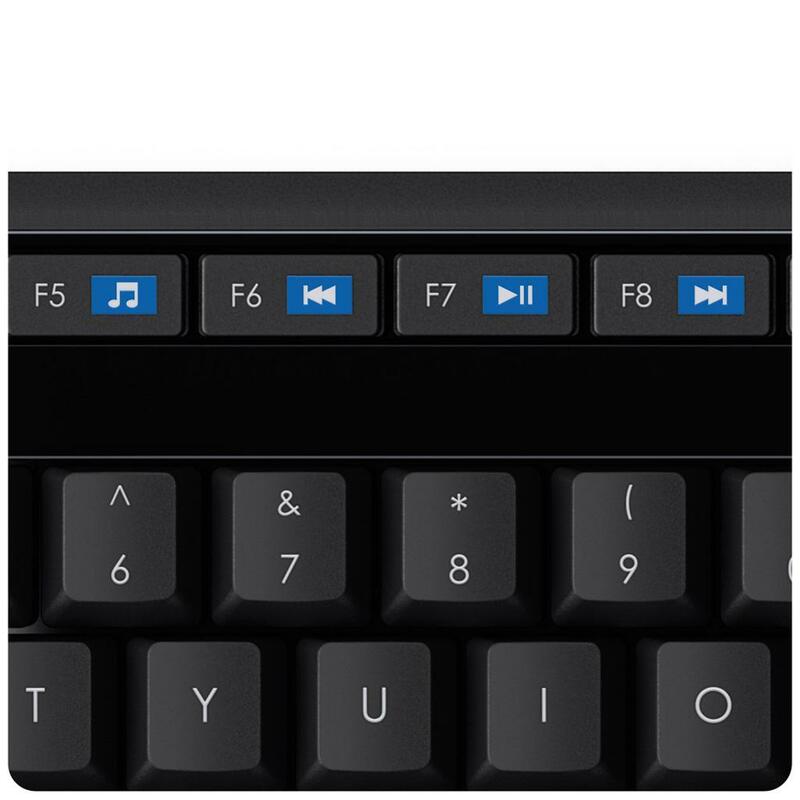 Just plug it into a USB port and your keyboard and mouse are ready to use. 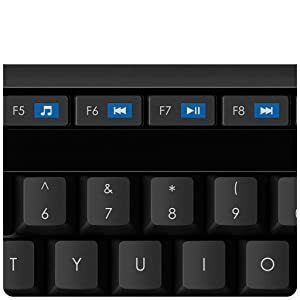 12 programmable F-keys*** and media keys give you quick access to email, the Internet, favorite websites, play/pause, volume, mute and more.